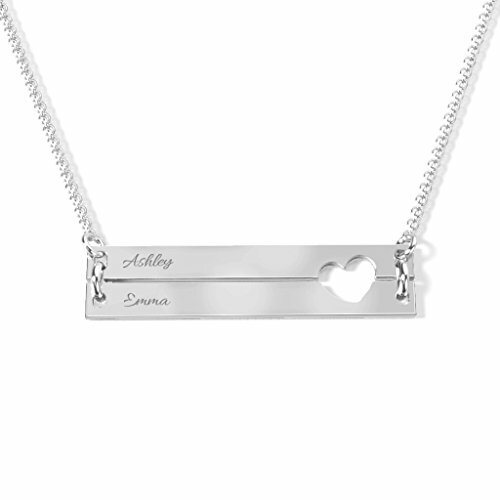 14K White Gold Engravable Double Bar Heart Necklace with a 18'' Chain by JEWLR by TSD at Blood of The Young. MPN: JN346_14KW_18. Hurry! Limited time offer. Offer valid only while supplies last.